– In what one baseball fan described as “most painful game I have ever watched… in any sport… including games I was a part of”, the Cincinnati Reds lived up their status as the trollin’est team in baseball, obliterating the San Francisco Giants, 9-0, and pushing the Gigantes to the brink of elimination. 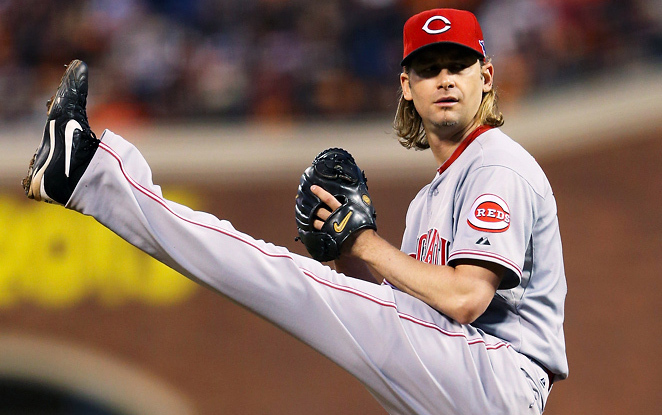 The Reds were led by their guitar-wielding pitcher, Bronson Arroyo, who threw seven shutout innings, including five straight without a hit to begin the game. Also contributing mightily to the victory was unheralded catcher Ryan Hanigan, who drove in 4 runs on 2-4 hitting. The Reds head back to Cincinnati, where they hope to close out the series on Tuesday, as it is likely shortlived Game 1 starter Johnny Cueto will be attempt to complete a full inning, perhaps more, after leaving the inaugural game of the series as quickly as it began. “We wanna see Johnny go out there and do Johnny’s thing. And, Imma do my thing: overuse him until he’s completely useless by the NLCS. Baker style,” said Reds manager Dusty Baker after the game. As always, we’ll have more as this story develops here at PPC HQ. – The Giants weren’t the only team by The Bay to have their dreams crushed, as the Oakland A’s were unable to maintain any type of lead against the Detroit Tigers, losing 3 separate one-run leads before Don Kelly drove the final nail into the Athletics coffin, hitting a sacrifice fly to end the game 4-3. “Those guys would not go away. We tried everything: garlic, silver, sunlight. Nothing,” said A’s manager Bob Melvin who who spent the press conference after the game with a stake in hand, before rushing out of the room screaming “Verlander! I swear to the Lord I will slay him!”. We suppose that’s reassuring to Bills fans, as the first step in solving a problem is acknowledging you have one. Especially if that problem is a complete inability to stop anyone defensively, especially after spending 100 million dollars on that side of the ball.